Wainscoting allows for such a classic yet distinguished design finish you can almost accomplish any look with incorporating one of our paneled wainscoting kits. Sure, that all sounds reasonable until you start to consider the cost. 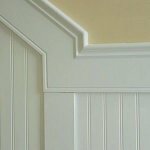 Until recently, the trouble was, if you wanted wainscoting you either had to make-do by faking the look with trim applied directly to the wall or spend a lot of money on a custom carpenter and custom-shaped panels. 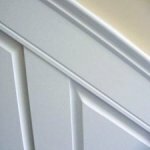 Now with high-speed robotic production techniques, and precision made MDF or hardwood panels, Elite Trimworks Corp., makes installing your paneled wainscoting a more viable option without taking any of the quality out of the project and material at all. When choosing between pre-cut paneled wainscoting systems, you should take two things into consideration. The first and the easiest decision is choosing the panel type to fit your particular style. Whether you prefer the clean lines of the simple Shaker style Flat Panel Wainscoting or the traditional old world Raised Panel or the more rustic, Beaded Panel Wainscoting, it's all about fitting in with your decor. The second choice is more about whether you are a do-it-yourselfer, or you have a carpenter to do the job for you. To install either the Flat or Beaded Panel system, all the panels are pre-cut to the right height, you only need to trim the sides of the oversized panels with a table saw for a perfected layout wainscot wall. The Raised Panel system, on the other hand, requires the panels be trimmed and then re-shaped using a table router, which requires a more advanced carpenter to install. Whichever panel type you choose, our pre-manufactured kits save time and money on the job site. Watch our step by step videos or browse through our how to section, all our kits are shipped with detailed instructions. Keep in mind that we have experienced personnel standing by to answer any questions that you may have. 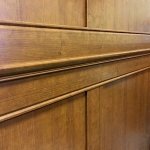 All our panelled wainscoting kits are packaged and shipped in eight-foot sections that allow us to offer Amazing Shipping Specials - to have a look, see the details shown in the product description.